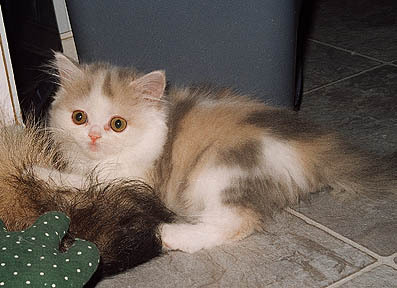 This little girl is a blue-patched, longhair kitten, with straight ears. Zoey is an active girl who loves eating. She will curl up on our laps when she's had enough romping around. Zoey now lives with Maria. 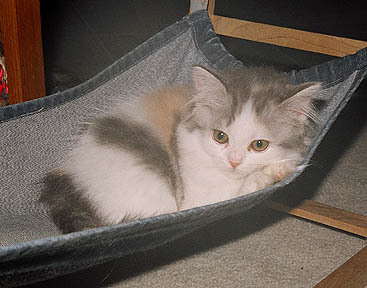 This little girl is a smoked dilute calico, longhair kitten, with straight ears. Mimi's favorite sibling is Zoey (above) and joins in with her asking for food all the time. Mimi now lives with Maria's mom, and gets to see her sister Zoey often. 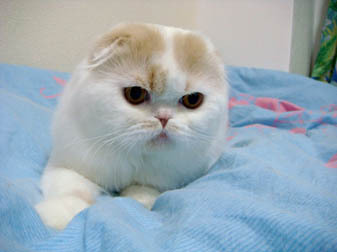 Gordy is a cream and white, folded-ear, longhair boy. He has a nice solid body with an extremely round head. 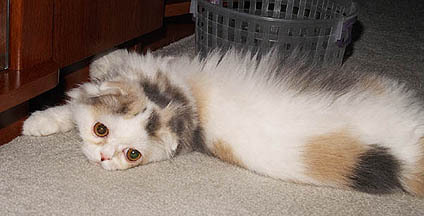 He has an impish look to his face, and loves to play-fight with his brother, Danny. 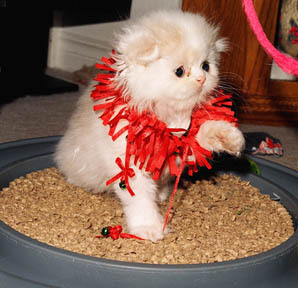 He has been going to some kitten shows this year and doing well. Check out his own page. 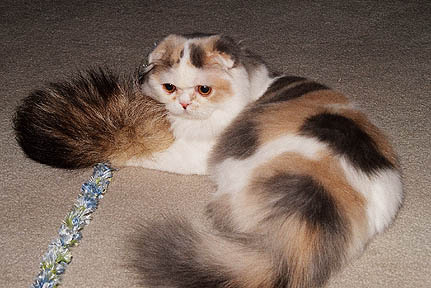 This is a little girl kitten who has folded ears, and is a blue-patched tabby and white. She is the cuddliest kitten in the litter, always looking for a comfy lap to curl up on. Her next favorite activity is eating! 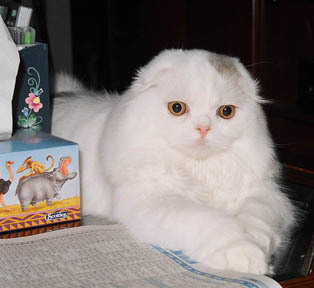 Danny is a blue tabby and white van, longhair, folded-ear boy. He spends most of his time playing with or jumping on his brother. 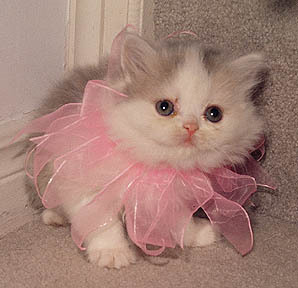 He has attented a few shows now, and has even come home with a Best Kitten rosette! See more pictures and information on his own page.